Imaging that you have some nice music stored on your computer and you want to copy them from your computer to your iPhone, have no idea about how to accomplish it? When it comes to transferring music to iPhone, it may make some people puzzled. Don’t worry, the post will introduce you three methods to transfer music from computer to iPhone at ease. iTunes is always the first choice for most of iPhone users when it comes to transferring music from computer to iPhone. 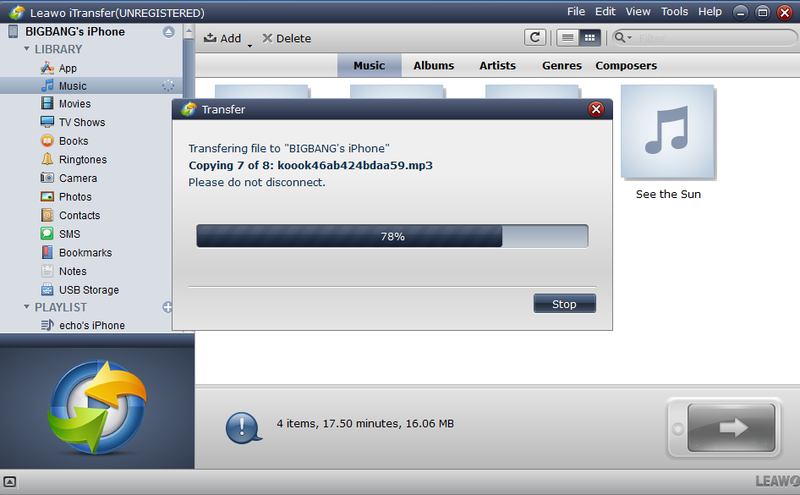 As the official transfer tool, iTunes can help you to transfer and backup files easily. Step 1. Connect your iPhone to PC via matched USB cable. Step 2. Click the phone icon on the left corner of the interface. To manage your media files manually, you’d better go to “Options” under “Summary” tab, cancel “Automatically sync when this iPhone is connected” and check “Manually manage music and videos”. Don’t forget to click “Apply” when it’s done. Step 4. Click “Music” under “Settings” tab. Choose “Sync Music”. You can either sync entire music library or selected playlists as you like. Then click “Sync” button at the bottom. 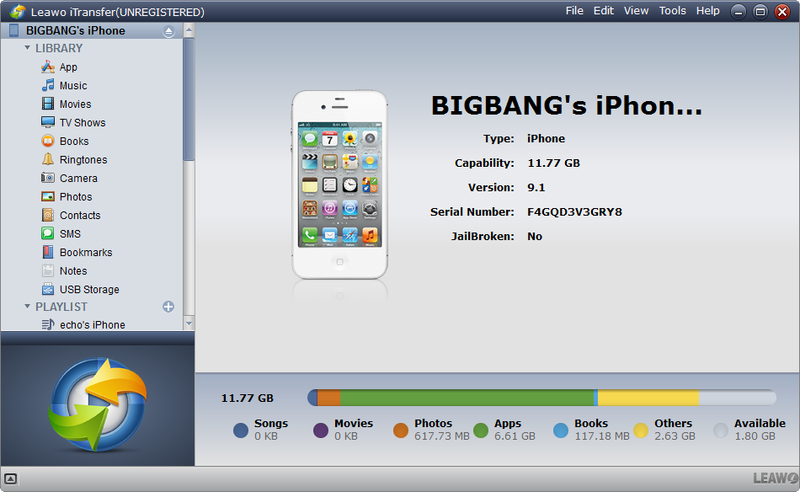 Above steps have introduced how to transfer songs from computer to iPhone with iTunes. Though it’s widely used by many Apple users, there are some unavoidable shortcomings that you need to know. 1. Instead of merging with the original playlist in your iPhone, iTunes will replace it with that in iTunes library, which means you may lose the existing music in your iPhone. 2. iTunes allows you to select playlist, artists, albums and genres to sync, but it doesn’t empower you to go for specific songs precisely. Therefore, is there any way to transfer music from computer to iPhone without erasing previous songs or transfer non-purchased music from computer to iPhone? Leawo iTransfer, one of the best alternatives to iTunes, supports to transfer files among iOS devices, iTunes and PCs without the sync of iTunes, and it enables users to transfer various kinds of files easily. The following guidance will show you the way of transferring music from computer to iPhone without iTunes, and you are allowed to free download the software to have a try. The following steps will take iPhone 6s as an example. Step 1. Run Leawo iTransfer and connect iPhone 6s to computer with USB cable. Step 2. Add music you like from computer to iPhone 6s. E.Click “Add” button on the top left, then choose “Add File” or “Add Folder”. Step 3. 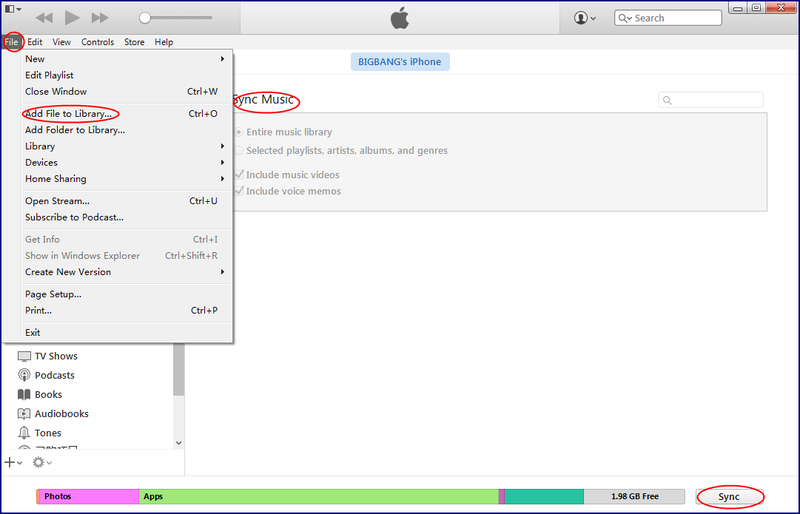 After adding music to the software, it will automatically begin to transfer music from computer to iPhone without iTunes. Of course, as a dual-way iPhone transfer tool, excepting for transferring music from computer to iPhone, Leawo iTransfer also allows users to transfer music from iPhone to computer for backup. When it comes to transferring music from computer to iPhone, you can also use the available Cloud services. There are three Cloud services to be recommended, and you can choose anyone you like. 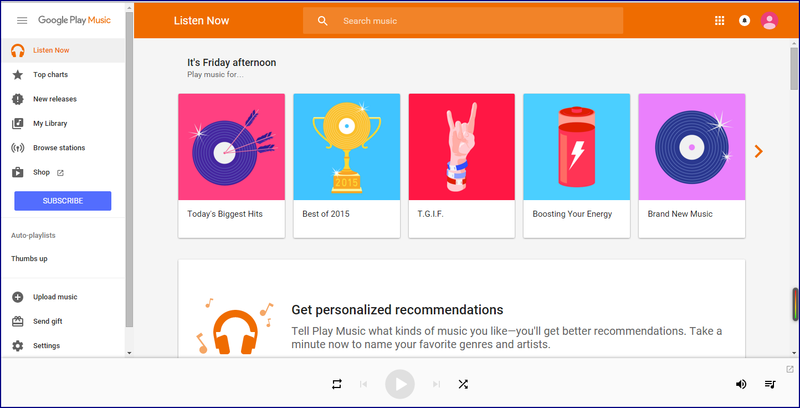 1.Google Play Music: it is not only a place to buy music but allow you to add up to 20000 songs from your computer to the cloud for free after you sign for a standard account. You can install the Music Player on your computer to upload your songs first. And then install the Google Music client, Melodies on your iPhone to play music you’ve uploaded to your account in cloud. The following steps will show you how to transfer music from computer to iPhone without iTunes using Google Play Music. 2. 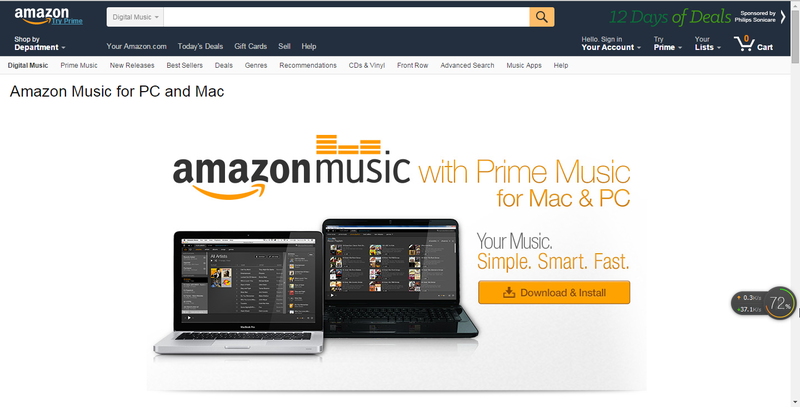 Amazon Cloud Player: it enables you to upload 250 songs from your computer to the cloud for free. If you want to upload more songs from your collection, you’ll need to pay $24.99/year for up to 250000 songs. You can use the desktop Cloud Player to upload your songs to the cloud. And then install Amazon Cloud Player for iPhone to see and play these songs you put on your iPhone. 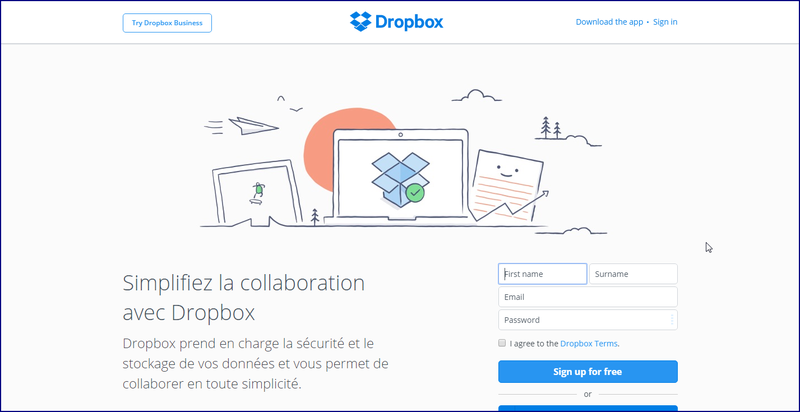 3.Dropbox: it is like a container where you can put all your files in. But it functions much better. It puts your stuff anywhere you need. After installing Dropbox on your desktop, you can drag and drop your songs to it. And then install Dropbox on your iPhone and sync it, you’ll find that your songs are there on your iPhone. 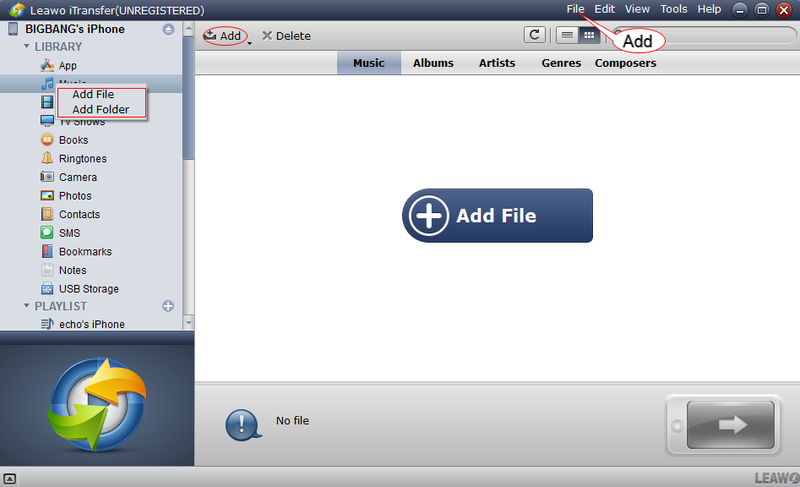 The above is about how to transfer music from computer to iPhone with three methods. When the transfer is done, you will get the music on your iPhone. Leawo iTransfer is helpful for transferring various kinds of files with this software. For example, you can transfer photos from iPhone to computer with the software. If you are interested, don’t hesitate to check this software out.